In this article, Dr. Frederiksen describes five mistakes to avoid marketing a professional service organization. Now that we are nearly halfway through the year, it is a great time to evaluate your marketing plans for the next half. The reality is that most accounting and valuation firms are relatively bad at marketing—despite the findings of a recent survey that determined more than 70% of firms make business development a top priority. Yet, we repeatedly work with firms that make five basic, but avoidable, mistakes. Most firms miss the mark when developing their marketing strategy. In most cases, firms bring together a group of partners and other firm leaders to brainstorm ideas for next year’s marketing. The problem is, it is hard for such large groups to reach consensus. Generally, there are too many opinions and too much resistance to change. The result? The coming year’s plan usually looks an awful lot like this year’s. Based on our research, a better way is to delegate the process to a small team authorized to make decisions for the group. Do research on what your target audience needs, and work to differentiate your brand so that buyers remember you. To be frank, many firms have the wrong people leading the charge in marketing. Effective marketing calls for a broad suite of skills—from writing and optimizing content for search engines, to social media and analytics. Yet, when they are staffing their marketing functions, many firms focus on minimizing expenses instead of maximizing impact. 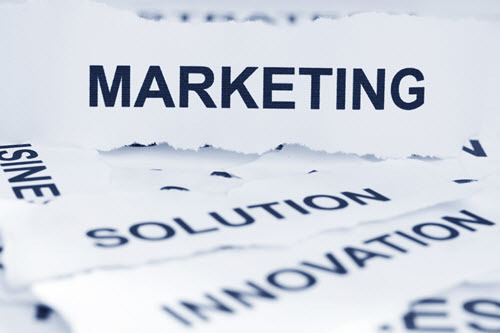 In addition, the firms do not really know which specific marketing skillsets they need to succeed. Some firms create good strategies but then are not able to bring them in for a landing. Why? There may be initial enthusiasm that quickly fades as the plan goes into effect. For example, a firm might launch a monthly webinar series or a blogging campaign, only to have interest dry up after one or two attempts. After all, it is far easier to push marketing to the side when you have paying client work. Moreover, when a new approach does not live up to expectations, it is all too tempting to go back to the “tried and true” tactics. Yet, often firms stop just as the new approach was about to start producing results. Ideally, a firm’s sales funnel should attract prospective clients, nurture them and earn their trust, and then convert them into paying clients. The problem is, some firms do not succeed at connecting the three key parts of the process—or they omit important elements. 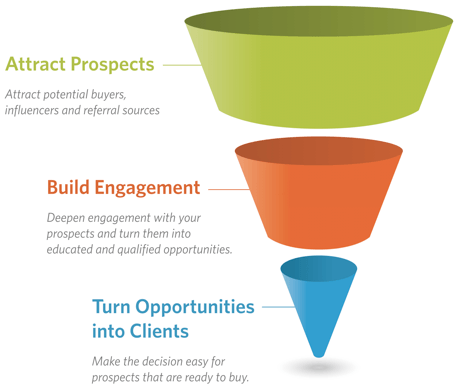 Prospects cannot move through the funnel efficiently, or simply lose interest. For example, a firm may focus on attracting new prospects, but neglect to take the relationship further by including offers and mechanisms for prospects to obtain additional content. Many firms pay too little attention to their marketing results. However, our research shows that the highest-growing firms track more marketing metrics than their low-growth competitors. They collect the data they need to adjust their campaigns when needed and get a clearer understanding of their target audiences’ motivators. In contrast, firms that use only anecdotal evidence or “instinct” are far more likely to invest their money on unproductive tactics—or waste time and effort pursuing the wrong prospects with the wrong message. It used to be difficult to get hard numbers on the impact of marketing. But with digital marketing, it is much easier to determine which techniques work and which do not. As we explain in a new web-based resource we have created for firms, your first priority should be to learn how high-performing accounting and valuation firms market themselves. Fortunately, we conduct an annual High Growth Study on exactly this point. You can use these findings to reorient your own marketing approach to be more effective. Next, research your audience. Over the course of hundreds of engagements with professional services clients, we have found that only a small minority of firms truly understand their marketplace. To really understand what is on the minds of your prospective clients, hire an impartial third party to conduct interviews with a sample of clients and prospects. Chances are, you will find at least a few valuable (and often surprising) insights. Use this time of year as an opportunity to benefit from what the fastest-growing firms are doing to understand their clients and market themselves. Armed with an effective strategy and a team with the right skillset, you will be able to show prospects that you not only understand their needs, but also have the people, insight, and resources to meet them.